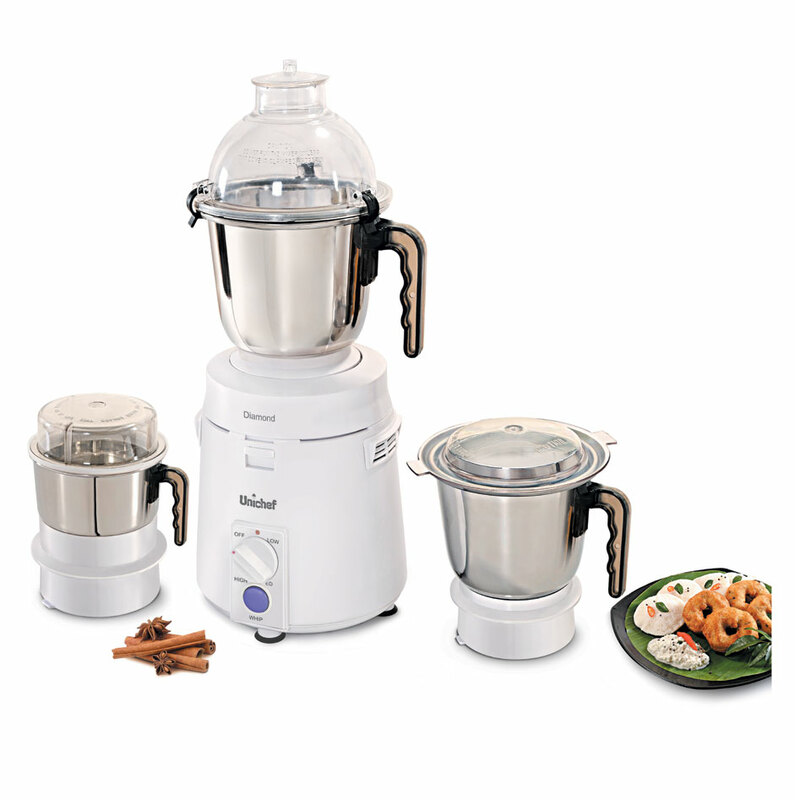 Diamond Mixer Grinder is the most powerful mixer grinder which outperforms all other kitchen appliances. The mixer comes along with Three Versatile Jars eliminating the need of any additional appliance for the kitchen thus saves on counter space and money. Diamond Mixer Grinder is real, tough & hard working kitchen machine useful for home kitchens, small & medium foodservice commercial kitchens. The elegantly designed stainless steel jars with safe locking system are provided for heavy duty Dry Grinding of spices, rice, coffee, red chilies, black pepper etc, Wet Grinding of liquidized fruits, vegetables whip butter, lassi, mayonnaise, fluffy omelets, stiff eggs, white and fresh creams, paste of rice and Chutney Grinding for making exotic garlic, ginger coconut pastes as well as chutneys. Thus proves to be a complete power kitchen machine for all day use.